Jeffrey Singh received his MD from the University of Toronto and subsequently specialized in Internal Medicine, Adult Critical Care Medicine and received US certification in Neurocritical Care. 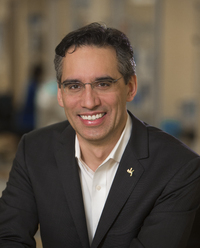 He is currently site director of the Medical-Surgical and Neuro-Intensive Care Unit at the Toronto Western Hospital, and is an Associate Professor at the University of Toronto in the Interdepartmental Division of Critical Care Medicine. He is currently the Hospital Donation Physician for the University Health Network hospitals and sits on the TGLN Provincial Donation Steering Committee. He is also a Regional Medical Lead for the Trillium Gift of Life Network. His clinical interests involve the support of critically-ill patients with brain and spinal cord injuries including organ donors. His research interests include improving the safety and delivery of pre-hospital and acute care to neurologically-injured patients. His research has been funded by the Ontario Neurotrauma Foundation, Rick Hansen Institute and the PSI Foundation.